The Montreal artist was part of a panel discussion hosted by the Gardiner Museum in Toronto on June 16. Horlik is one of five nominees up for the 2015 RBC Emerging Artist People’s Choice Award – a $10,000 prize to be announced in August. 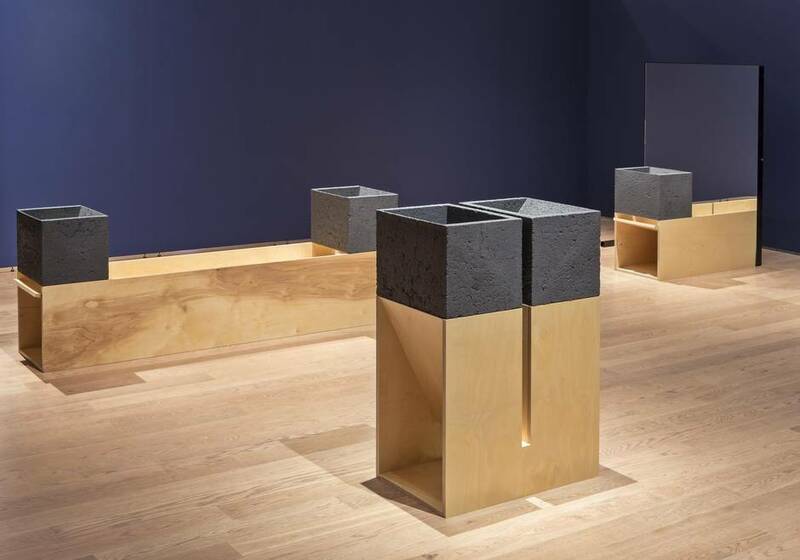 You might think a group of contemporary artists, hand-picked by a professional committee for an exhibition called Reimagining Clay, wouldn’t have to work so hard to justify themselves. Yet over the course of the panel, they’re repeatedly asked: Why ceramics? 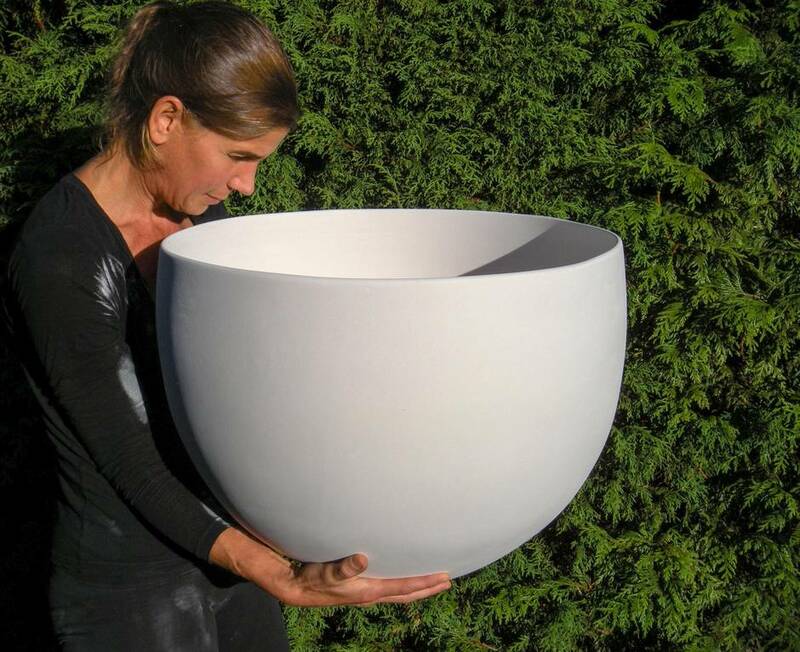 Why ceramics now? Horlik had assumed – especially in a material-specific museum context – that the “art versus craft” debate was good and dead, and that they’d be able to talk about the content of their work instead of what they used to make it. But here we were again, stuck in the mud. 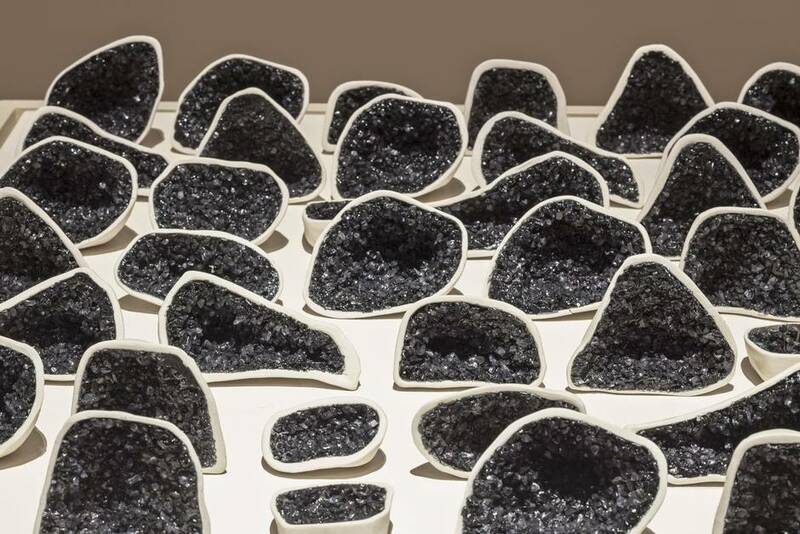 This new age of ceramics heralds work that is both informed by and resistant to its functional origins: Artists are increasingly using the medium to convey their message, while clay-throwers are getting playful with shape. Perhaps our latest spin around this wheel finally represents the reconciliation of the “arts and crafts” camps, or at least the advent of a burgeoning market that values the physical hand of an artist. In this tension between form and function, content and material, there’s an opportunity: Contemporary institutions are embracing craft in real ways, while everyday wares have been elevated to objets d’art. “This conversation still opens up such a big can of worms,” laments Canadian multidisciplinary artist Shary Boyle. Exhibiting widely, Boyle is well known for her performance and installation work, but also for her direct take on the Royal Doulton Collection in 2006, where she shocked the art world with a solo exhibition at the Power Plant in Toronto. The modern and minimalist lines of the ceramic forms, wood and mirrors in RBC Emerging Artist People’s Choice Award nominee Zane Wilcox’s work belie its earthy elements. Upon closer inspection, the cracks in the dirt reveal themselves, adding a visually rich texture and giving the geometry a grounded materiality. ‘It’s like they could have been buried,’ he says. Seeing an artist’s hand in an object is something of increasing value for the functional side of this industry, too. This is why a limited-run, Scandinavian-style coffee set will sell for hundreds of dollars. Makers are increasingly creating everyday ceramic items that are not only beautiful and deliver a meaningful experience, but are utilitarian and heritage-quality – built to last. But the other notable characteristic of today’s ceramic scene is the move toward “sloppy craft” – things intentionally made to look poorly made, and artists that reject the aspirations for perfection. Montrealers Valérie Descarrega and Camille LeBlanc-Murray, the duo behind the quirky new ceramics line Women on Pots, are a good example of artisans experimenting with this idea. “The beauty of imperfection” and “celebrating human mistakes” is a deliberate aesthetic choice in their pieces of tableware, which are small, wobbly and interesting for that very reason. 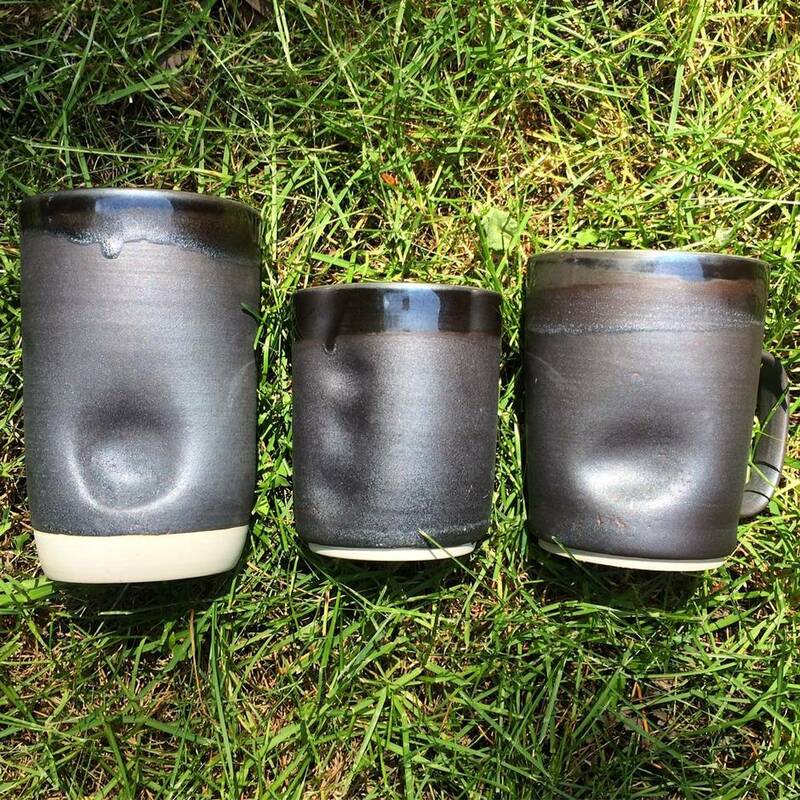 More interested in seeing pots “as shapes more than objects that are useful,” they swear by the aesthetic of “unformed” works, turning to pottery as a way to get outside of their creative careers as an interior and graphic designer, respectively. “Pottery is a way for us to experiment and let loose. It’s more of a playground than a business project or [a work of art],” says Descarrega. A connection to the process, product and user is the ‘good and necessary shift’ that Winnipeg designers Jenn McCurry and Lynne Mulvihill of mud + stone are seeing in the increased interest in ceramics. From a lump of clay to a finished product, they view this work as part of a ‘slow art’ movement. Regardless of the venue by which their ceramic work is shown, many of the contemporary makers today simply appreciate that the material can be a very direct route to a finished product. “The versatility of dirt allows for some pretty phenomenal object-making,” says David R. Harper, another nominee for the RBC Emerging Artist People’s Choice Award. Using ceramics to create piles of bones, skulls and stones, Harper’s work subversively replicates what you might find in a natural-history museum, and his “eccentric fusion of nature and culture” aims to give his objects new histories and meaning. While Harper doesn’t identify as a “ceramic artist” (a seemingly touchy term among many of these creative types), he does recognize the evolving value of his choice of medium. The exhibition Reimagining Clay runs at Toronto’s Gardiner Museum until Aug. 30 (gardinermuseum.on.ca).